The Easter egg dye experiment continues. I was hoping I had enough yarn for a cowl & matching hat. The cowl is finished. I had a small amount for the hat. It will not match the cowl. But it will be another experiment after checking my scrap yarn jars. 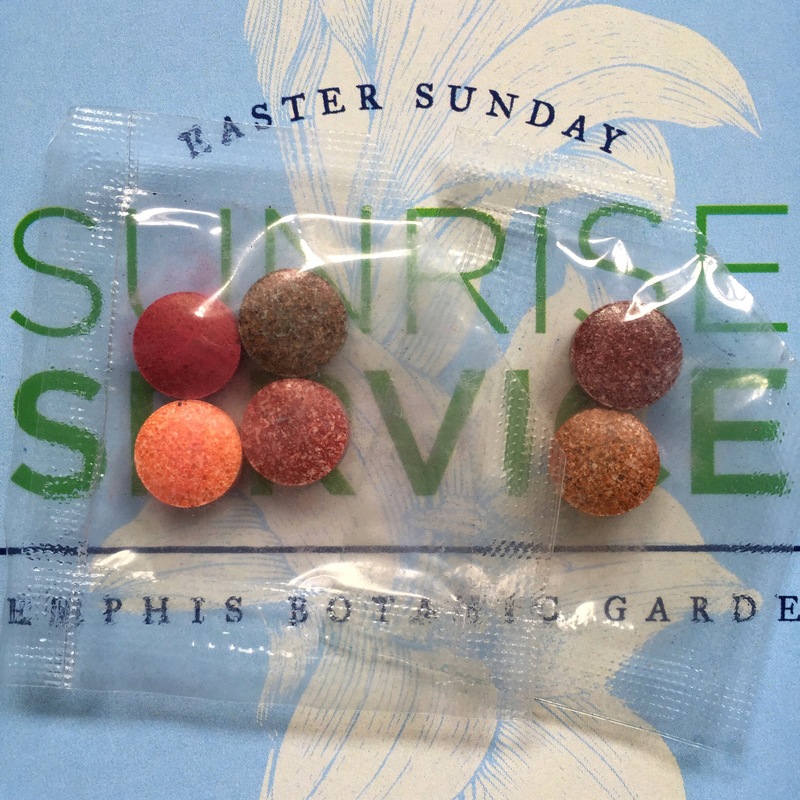 Time to get more egg dye kits. The cowl is Nebbielo by Thea Coleman, Baby cocktails. I modified it for two reasons. The cable ‘shrank’ the length too much to wear doubled. I just could not get the cable right. Turns out I could not do the lattice right either. I’m still marking this one a success, mistakes & all. 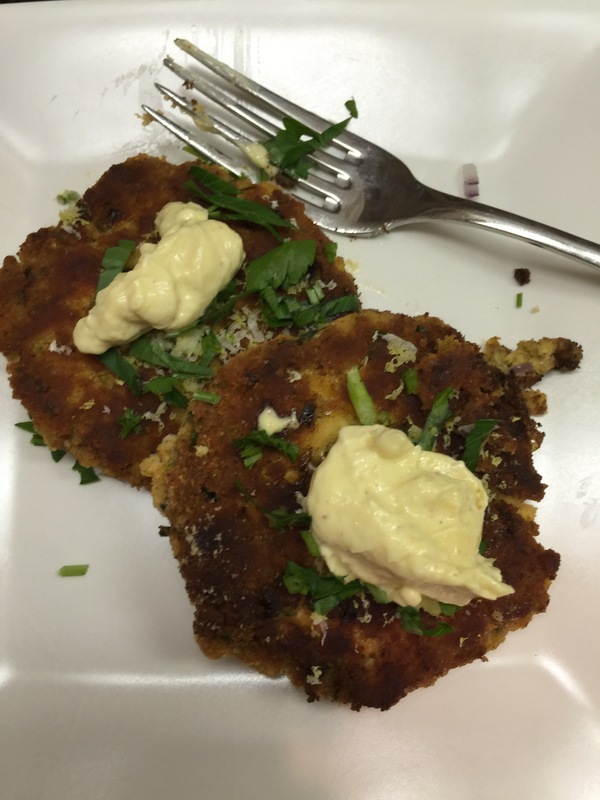 From the Nom Nom Paleo cookbook by Michele Tam. Yum! And they were even better as leftovers on salad. Double yum! 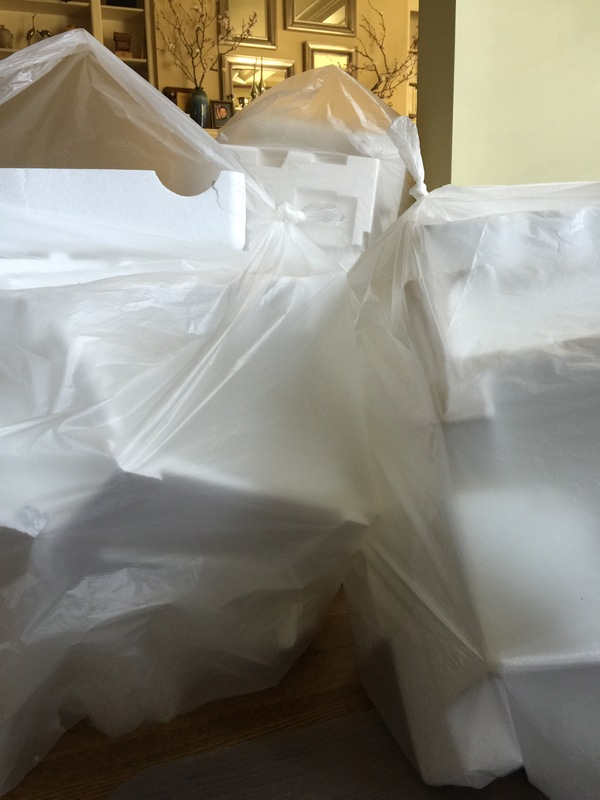 These are three of five 55 gallon bags of styrofoam guts from old electronic product boxes. Found out the local UPS store can use them for packing. Win! They don’t go into the landfill. The outer cardboard boxes have been broken down & stacked. Waiting for the next recycling day. These are Christmas ornaments that I haven’t used since the kids were here. The precious ones are still good and safe in the attic. Fitbit told me, I climbed 25 flights of stairs. I haven’t had the mental or physical energy to make bags or market them. Filling out tax forms make it undeniable. I’ll continue to make bags for fun, but probably close the business soon. 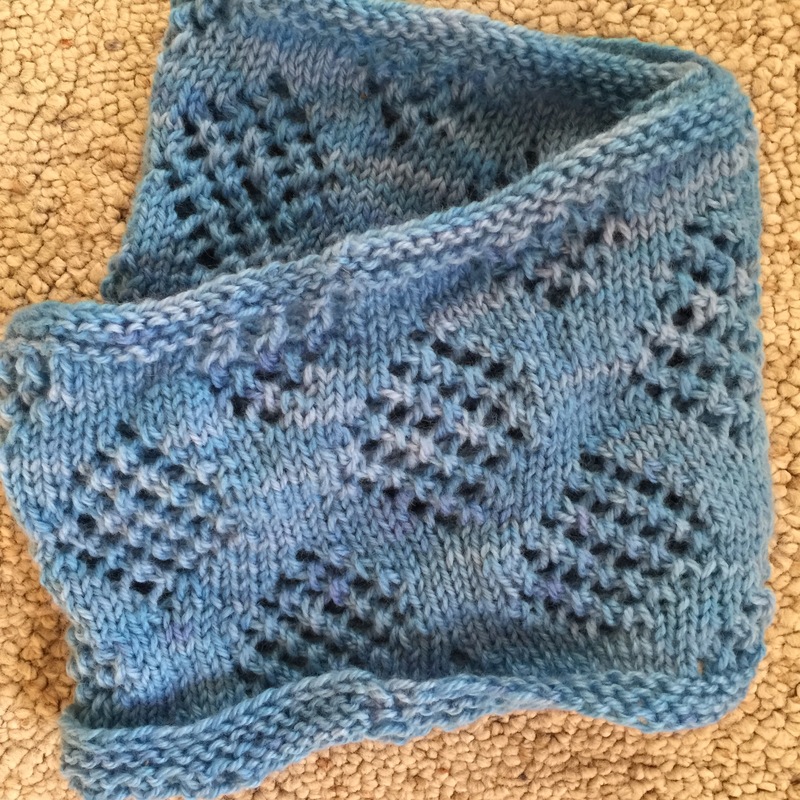 This entry was posted in Knitting, KonMari Method and tagged cooking, dyeing yarn, knitting, salmon patties on March 21, 2016 by slantedstitches. 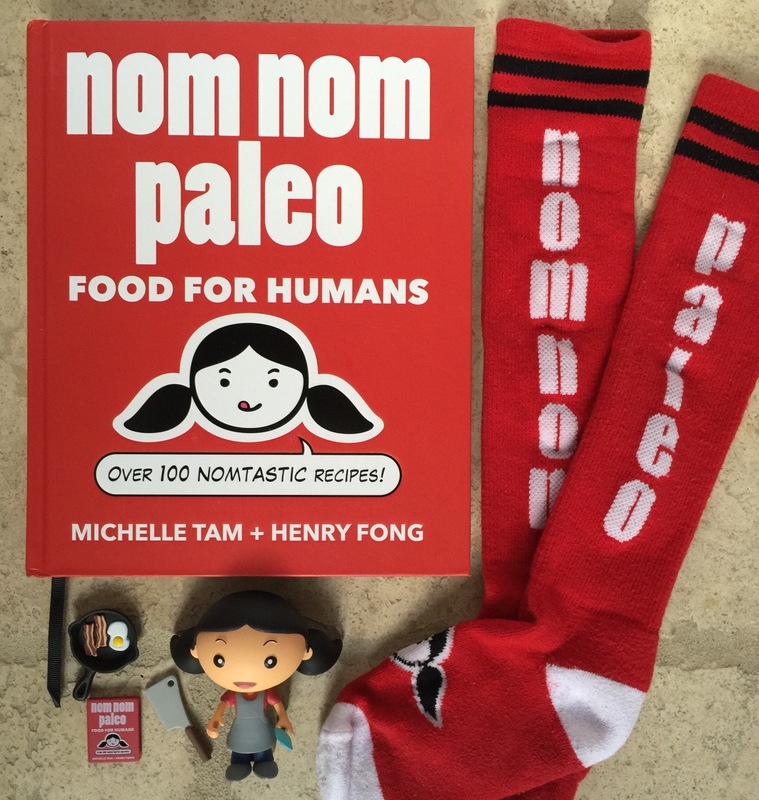 I won this book, Nom Nom Paleo, Food For Humans & other fun stuff on Instagram @nomnompaleo a few weeks. I don’t win stuff very often. This was a real treat. And have been trying something new every week. I made lots of bone broth. The freezer is nicely stocked with 4 0z. cubes of broth. This week, Kalua pig is a success. 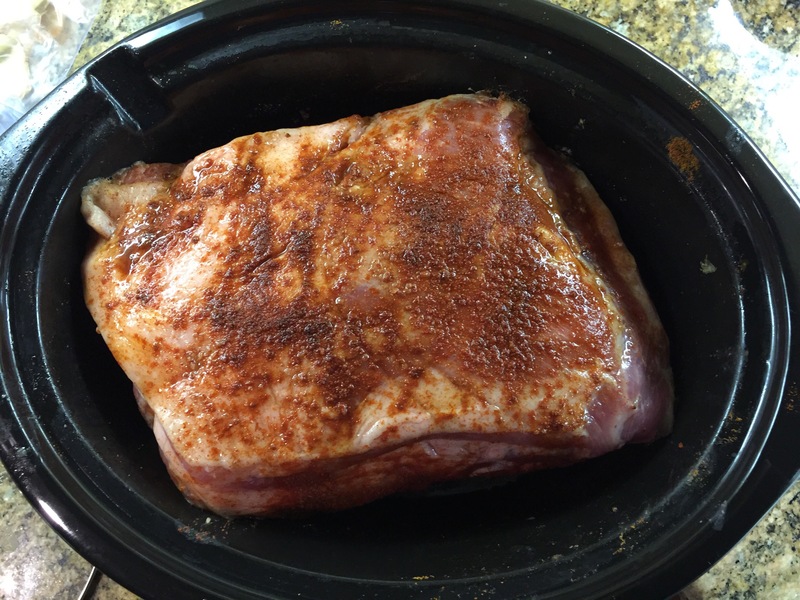 Just know, Costco’s pork shoulder comes in a 17 pound package. Huge! But I could not resist at $1.79/lb. This should last us a few months or enough for a nice party. Very little work but lots of time required. 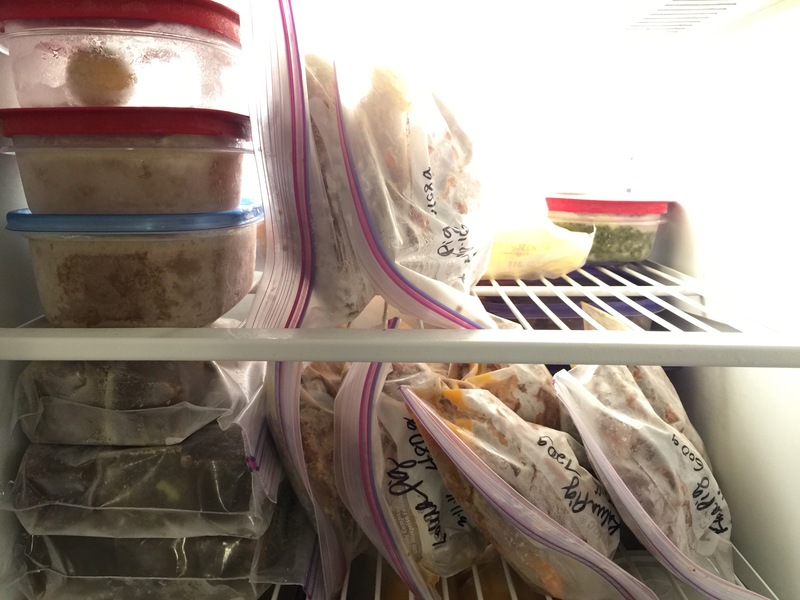 The total yield is 10 lbs portioned in quart size ziplock freezer bags, labeled and frozen. 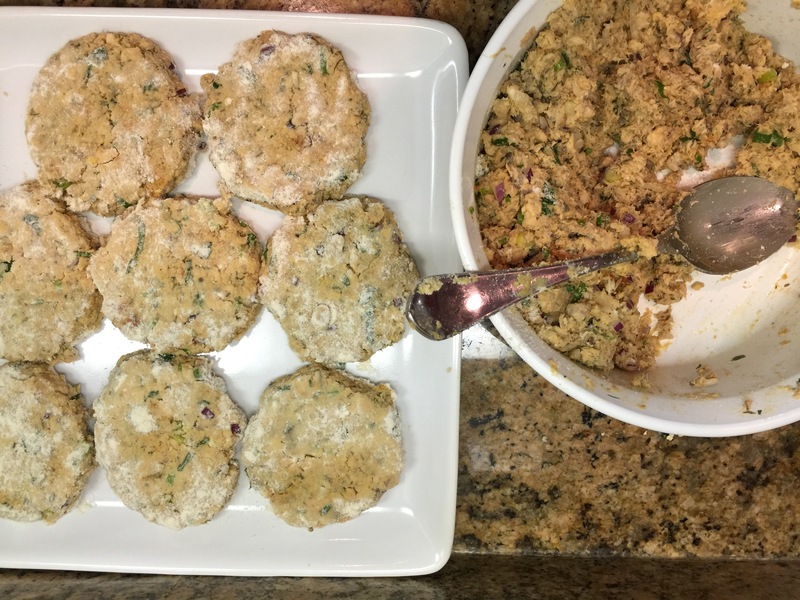 Next time: grind half of the shoulder into patties to try other recipes in the cookbook, like meatloaf, or Vietnamese lettuce cups. Sadly, the mayonnaise on the other hand. Total fail. This is not the fault of the recipe. Lesson learned, ALWAYS check out the correlated YouTube videos. Use a container three times deeper than the contents. Two times is not enough. 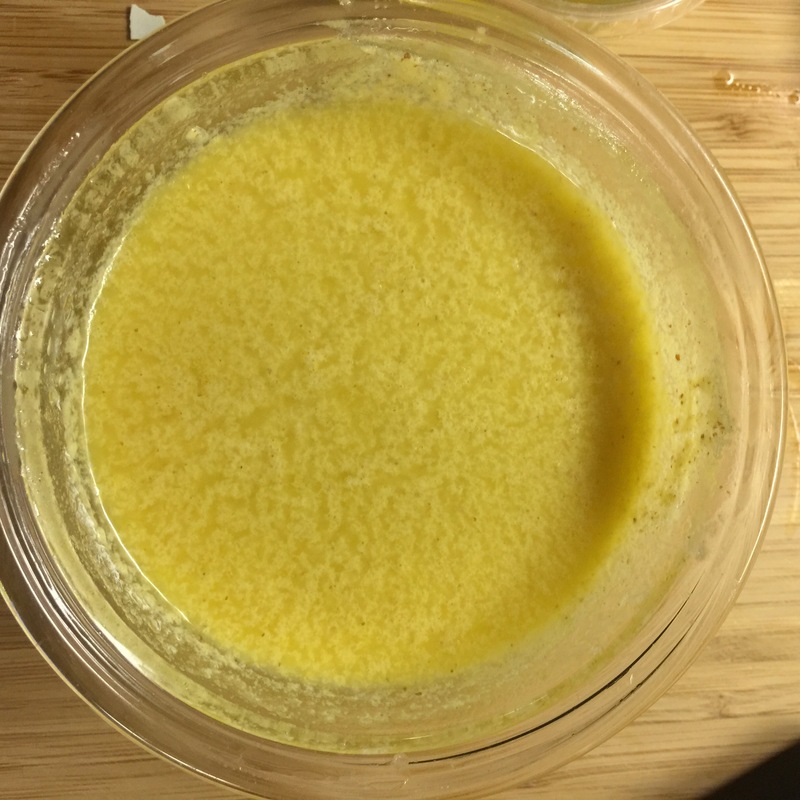 Use a narrow container for immersion blender. Doing it again, the same way, doesn’t make it any better. Nor does the high speed blender fix it. Clean up the greasy mess and try again tomorrow. Update: Finally, the fourth time, success with the mayonaise. 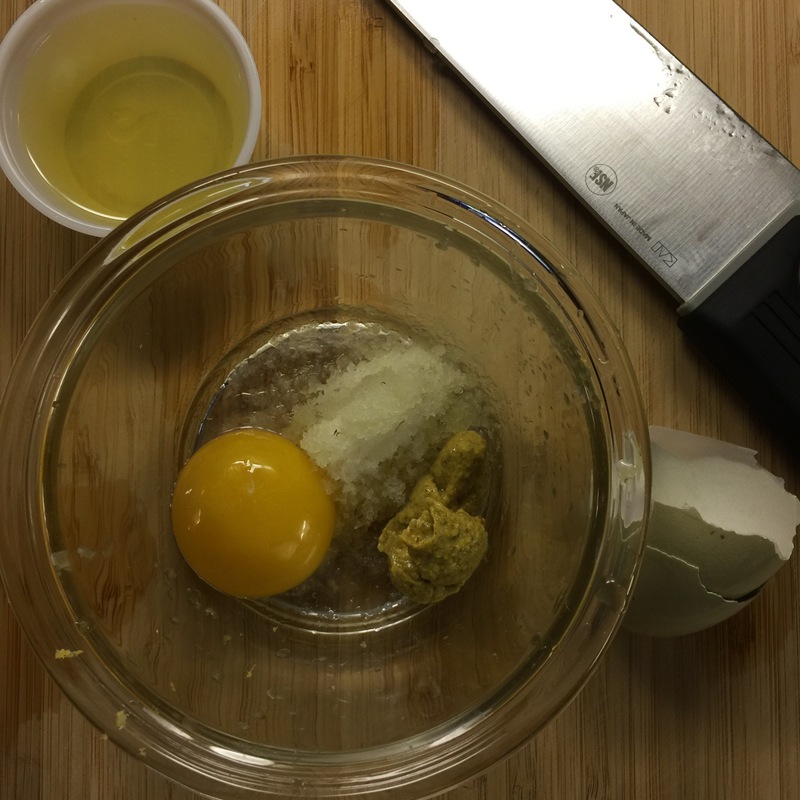 For my immersion blender, I shouldn’t dump all the oil on top of the egg. 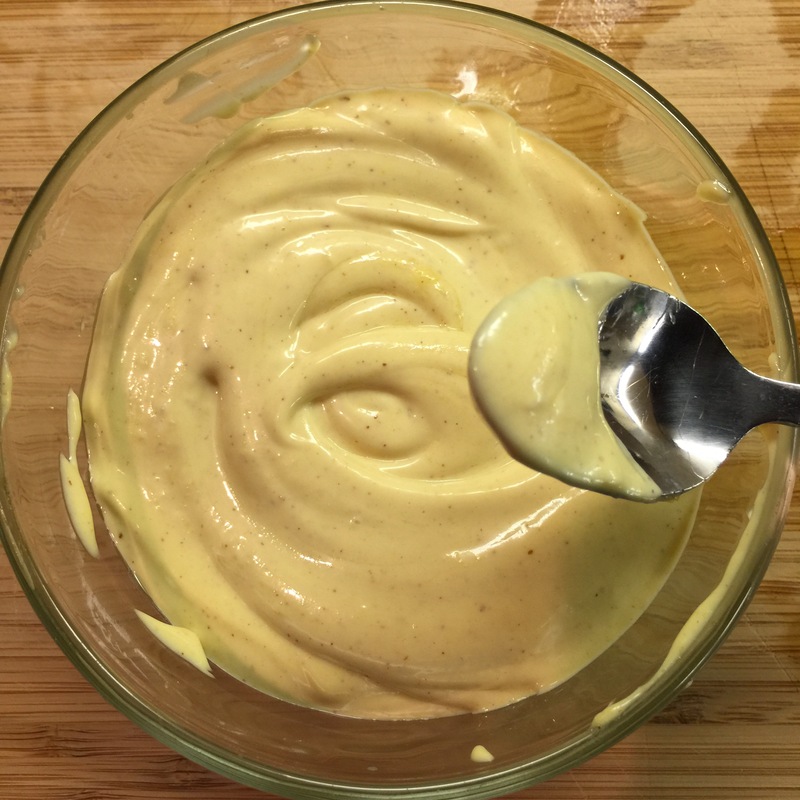 It did work when I gradually added a tablespoon of oil when each spoonful is emulsified. And we survived last night’s crazy tornados/thunderstorms/flooding. 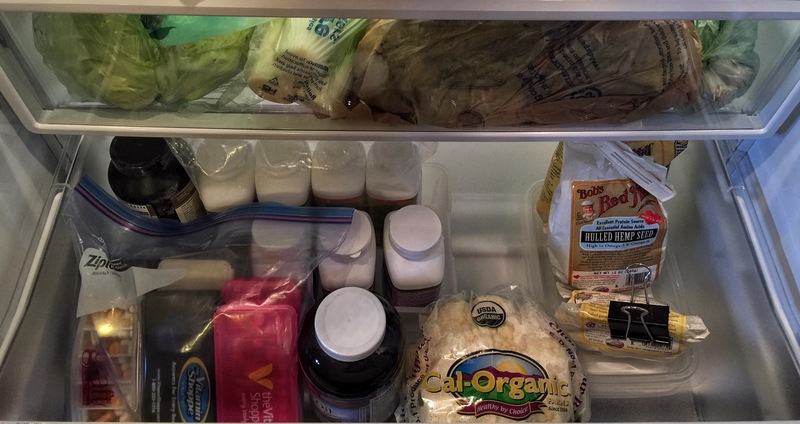 This entry was posted in KonMari Method and tagged cooking fail, kalua pig, mayonaise, nom nom paleo on March 14, 2016 by slantedstitches. As you might recall, I realized a lot of my clutter was/is an accumulation of unfinished projects. All of which, in their current state, do not spark any joy. Nope, just the opposite. They spark failure, fear of failure, dread and denial. I’m not ready to say good bye to them. I hope I am ready to tackle one or two a week. This project lingered in my craft closet for several years and on the kitchen island for more than several weeks. It also represents a small bin of other yarns I want to overdye. Apparently, I still have some brain fog. I forgot to take process pictures. Forgot to take a before picture. 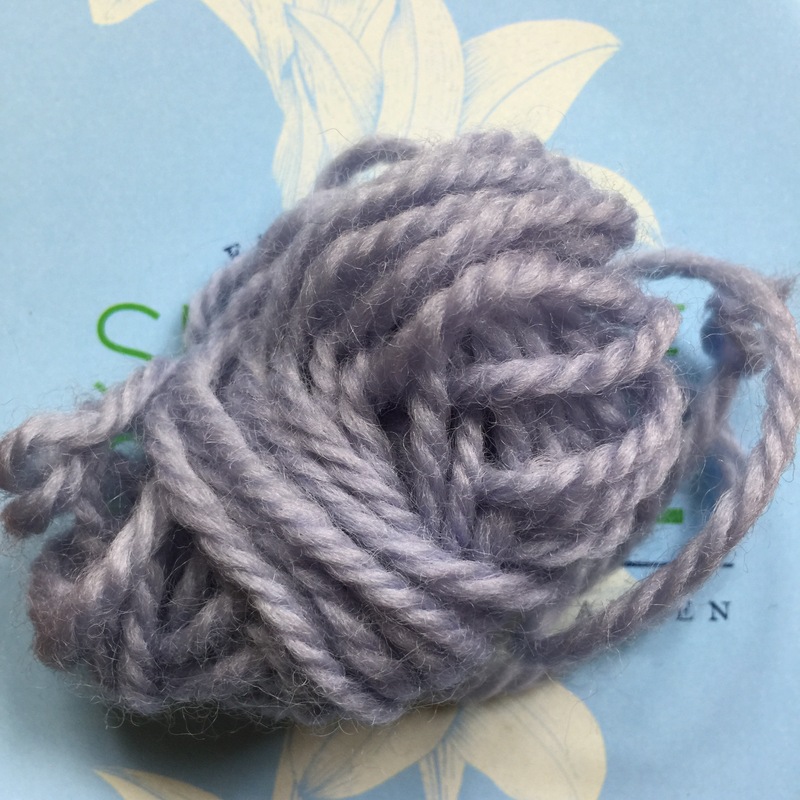 Here is a scrap of the original pale blue grey wool. 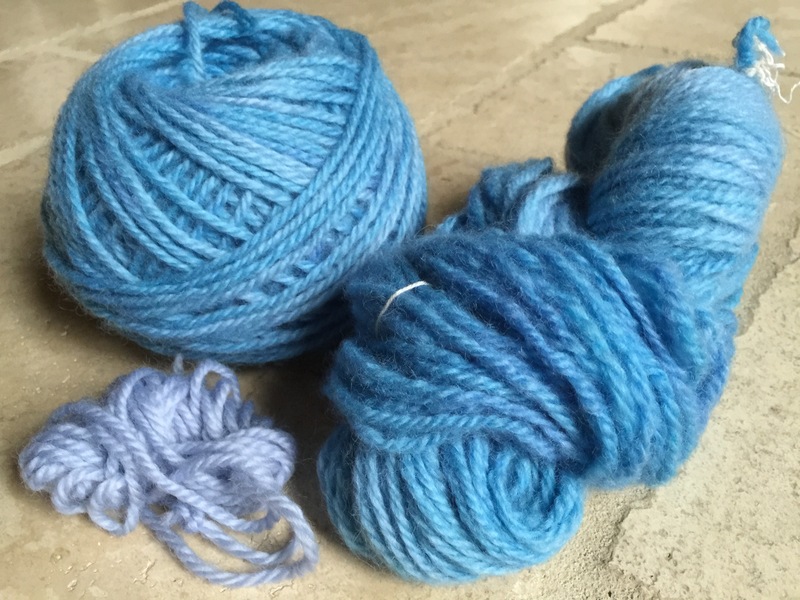 Also forgot to take a picture of the dyes I used, which I believe are two turquoise and one blue. It was a guessing game. Here are the remnants. Yellow, red, orange, green & purple? Dissolve one turquoise pill in a small amount of hot water. Add to the yarn. Wearing heavy kitchen gloves to insure the dye has dispursed in the water. Be careful not to agitate the yarn. Decided to add a second turquoise pill. Repeat with blue. (This time I put a glug of vinegar in the dye. It did not dispurse but stuck to the yarn where I poured.) That was not my intention. A live and learn moment. Set on high for 6 minutes in the microwave. Checked for any dye remaining in the water. Returned to microwave for another 2 minutes. Water was clear. Left to cool for several hours. Squeezed as much water out as possible. Hung outside to dry. Forgot the vinegar was in the water. Since I can’t smell it, I’ll give it a good bath after knitting. I can not be uptight about the outcome. I must expect serendipity, chance, or risk. This was a LOT easier than I expected. Except, be more careful about agitating the yarn. It did felt a bit. I can’t wait to start knitting this. Now THIS color sparks joy! 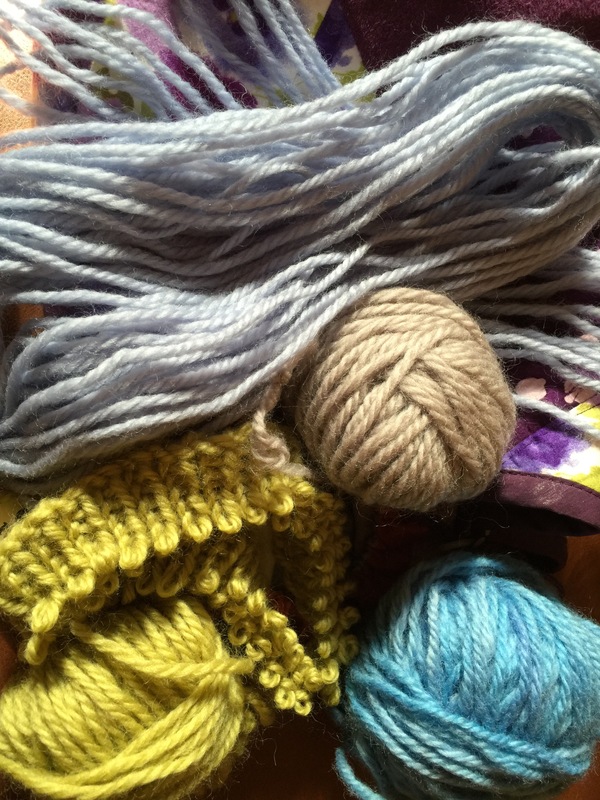 I might do this once a week to work through my less than perfect yarn stash. 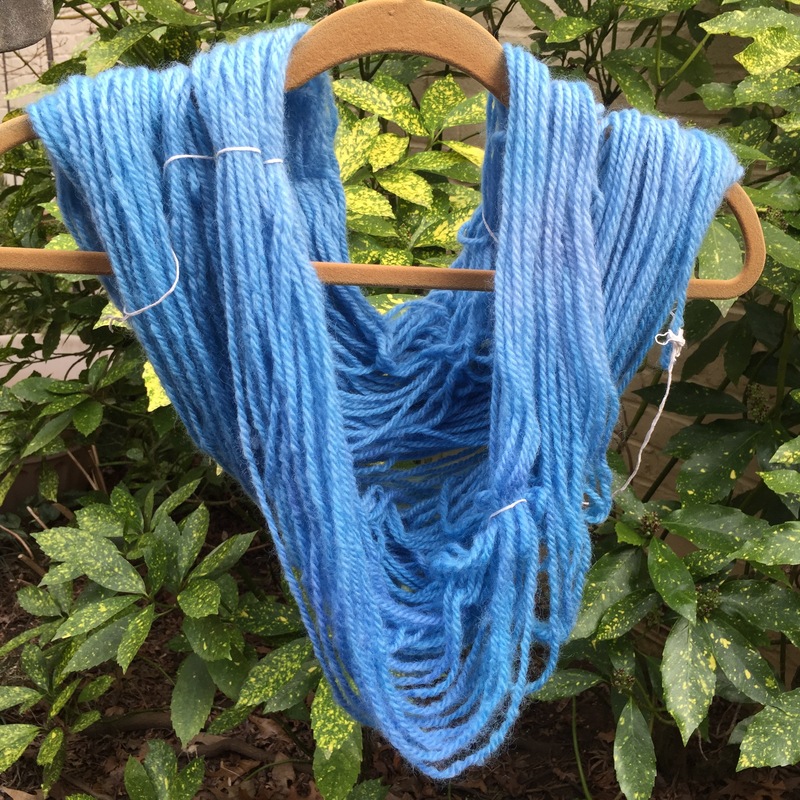 This entry was posted in Knitting, KonMari Method and tagged Easter egg dyeing, kitchen yarn dyeing, yarn dyeing on March 11, 2016 by slantedstitches. I’m knitting hats instead of shawls. I haven’t gotten back to the digital decluttering. I’ve no energy to work in the studio. I couldn’t even figure out what to chat about last week. Fatigue from a 1-2 punch combination of a new diet I started after Christmas and slight anemia. Small projects will continue, until I start feeling better. 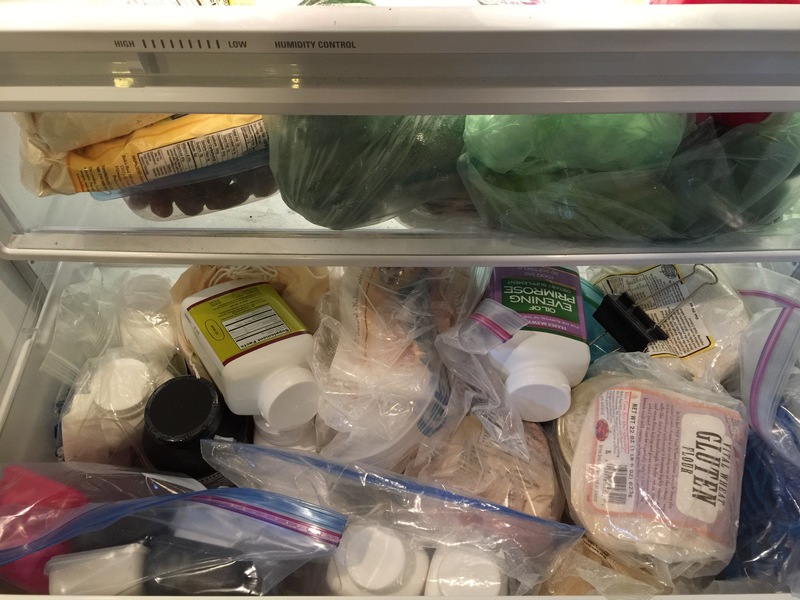 The reason I picked the fridge….I KNOW there’s almond flour somewhere in there somewhere. I need it for a new-to-me recipe and the new-to-me diet. Yikes! There’s a lot of old stuff lurking in the back corners and plenty that no longer fit in my diet. See this drawer, stuffed from moving all the grains into the fridge when we changed to the slow carb diet last year. The vitamins will stay. We have been pretty happy with the slow carb changes. But now it is time to truly say goodbye to the SAD (Standard American Diet) and throw it out. Slow carb was last year. This year is the ketogenic low carb high fat diet. I thought I could do the simple & easy version using the modified Atkins. It’s been around 10-15 years, with plenty of books. But in my case, I am not doing it for weightloss. Nope, I have a newly diagnosed chronic blood disease (starting with fatigue & anemia) called CLL. And I’m hoping that the ketogenic diet will slow the progression to nill. Now I have to find the recipe. I’ll have a few more posts soon about CLL and ketogenic diet later. 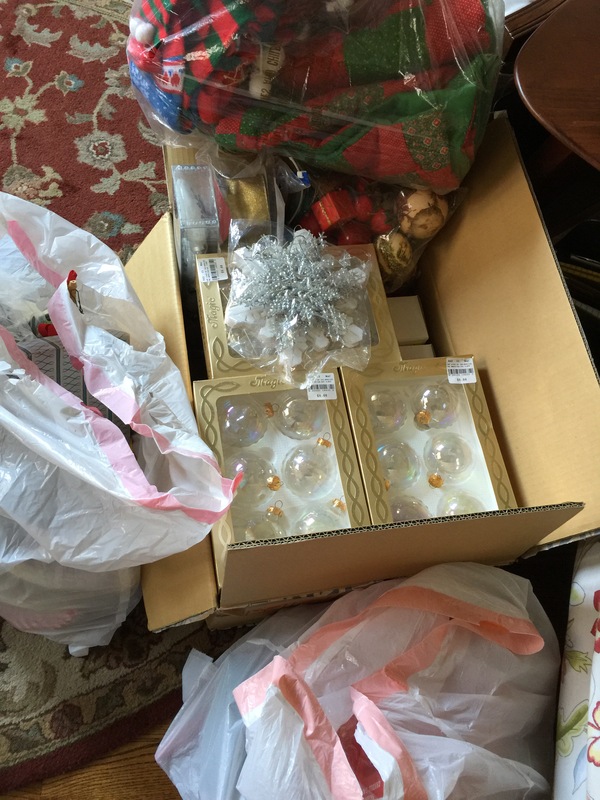 This entry was posted in CLL, KonMari Method and tagged declutter, keto, KonMari, organizing on March 7, 2016 by slantedstitches.